In addition to a much higher upload limit, upgraded plans also have the ability to invite team members to use their Prevue account. 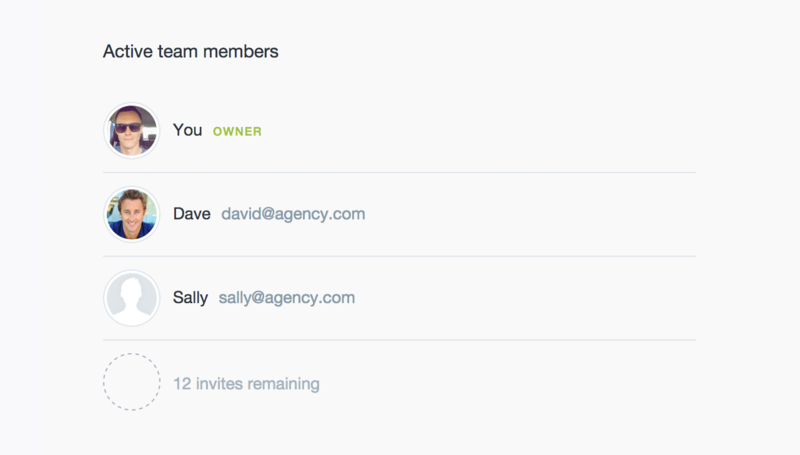 Team members can be added and managed through the Your Team tab within your Settings. Accounts that have this feature enabled will be able to manage and subscribe new members from this tab. Additional team members can join eligible accounts by visiting a custom signup page, see below. Through your team settings, you'll see an section for inviting your team. Simply share the URL provided, or email an invitation by entering one or more email addresses (comma separated) into the form. When someone gets an invitation they'll be able to create their own username under your account, and set their own password. 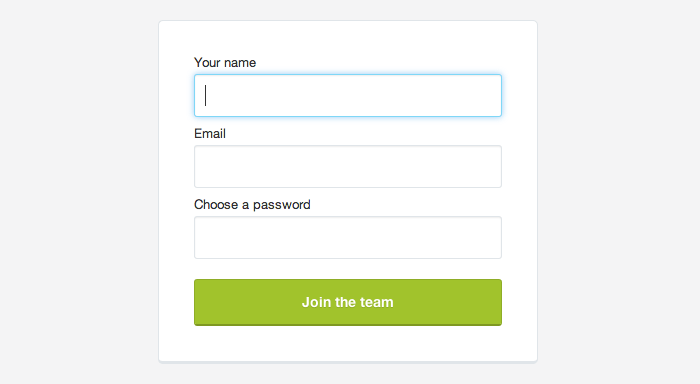 Once the team member has successfully registered to your account, they'll be able to use the same login page as you. The new member will also get an email containing their login details. Team members can see most things that you (the administrator) can, and will be able to upload and edit images, projects and groups in the exact same way. However, team members cannot access account-sensitive information, Project Settings or logo settings. You can remove a team member by pressing the 'Remove' link, which is revealed when you hover a person within Your Team settings. 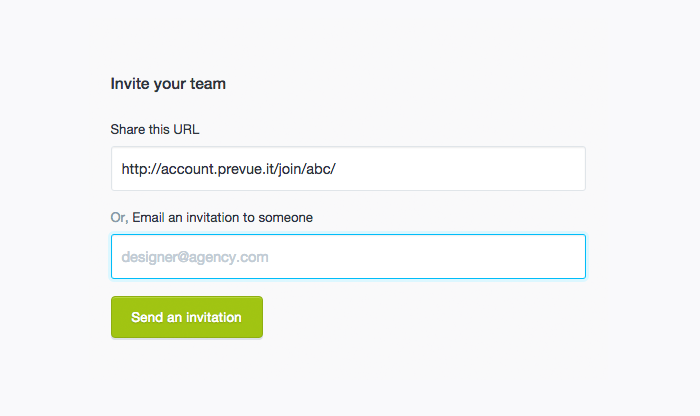 Doing so will instantly log that person out of your account, and you'll be credited with another team invitation. Removed team members will remain in your settings, and can be re-activated at any time (see below). 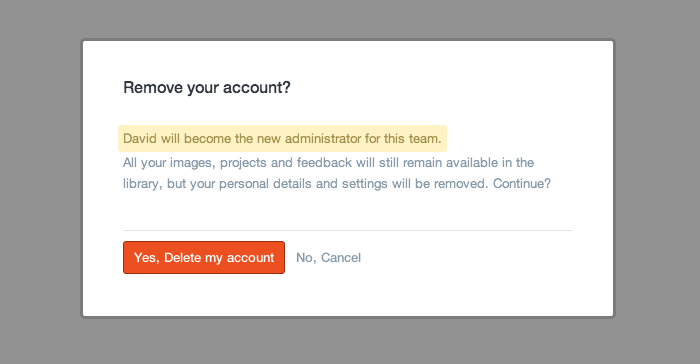 Similarly, team members can delete their own account from their own Settings. When a team member is removed, or deletes their own account, their images and projects remain in the library. When an account has more than one team member (e.g. you plus one other) — it is possible for the administrator to leave the account entirely. If the administrator deletes their own account, administrative privileges will be passed to the next available team member. If you would prefer for this not to happen, you must remove all other team members before finally removing your own account. What happens when my team account expires? If your upgraded plan expires (i.e. after your subscription period), you'll be automatically moved back to a Basic plan which doesn't allow for team accounts. If you have active team accounts when this occurs, those accounts will become suspended. If you choose to renew your plan, those accounts will be instantly renewed.